Vietnam is one of the most culturally mesmerising and wonderfully photogenic nations on earth, with colorful scenes of life to capture in both its peoples and landscapes. It’s without doubt a must for any travel photographer, from beginner to professional, and all experience levels are welcome. David and the talented Vietnamese photographer Nguyen Vu Phuoc will always endeavour to have you on location at the right time of day to make use of the best available light for a particular shoot. There will be a mixture of landscape, portraiture, free shooting and arranged photo shoots in exotic indoor and outdoor settings, with both impromptu and professional models. 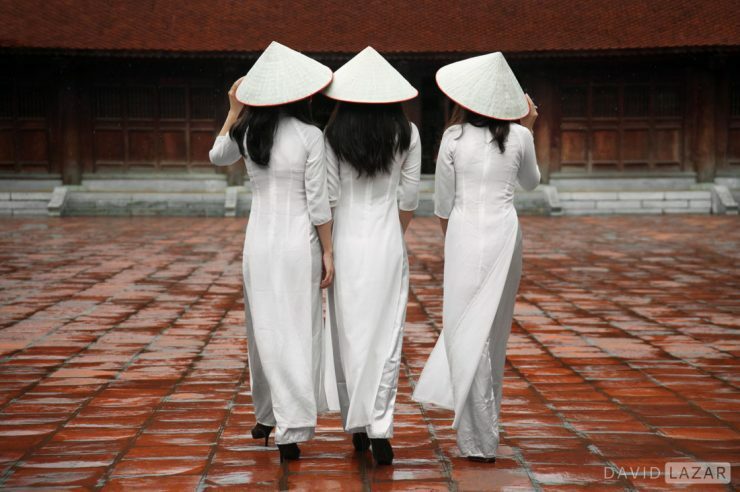 This photography tour is taking place in June, the most colorful and photogenic time of year for shooting in Vietnam, avoiding the grey skies and optimizing beautiful image making opportunities. At this time of year, the rice terraces in the far north are green, the skies of Halong Bay are blue, and the dawn and dusk light is always warm and yellow.